We all know student loan debt is out of control. The average college student graduated in 2014 with $33,000 in student loans. Student loan debt crossed the $1 trillion in 2012 and just keeps getting bigger. Today, we explore Massive Open Online Courses, or MOOC’s, online learning platforms that started as a way to grant anyone access to the top school’s top professors (think lectures at MIT, Harvard, Yale, Columbia, Stanford) and be able to essentially take college-level courses for free. A few years after their genesis, we are seeing more and more MOOC’s offering low cost ways to not only obtain a higher level education, but also working towards certification methods where you can actually start adding this coursework to your resume. If getting a traditional college degree is becoming out of reach for the average family, could this become a viable alternative? Last summer Google just announced that they’re not requiring college degrees as a prerequisite to apply for jobs there. This is interesting. They found that after years of looking at all the data, things like college GPA’s and transcripts are almost worthless in terms of determining who’s a good hire or not. People who make it without going to college are often the most exceptional, because many schools don’t really deliver on what they promise. Humans by nature are creative. You wake up, you’re a creative being. But, we are not by nature logical, or structure thinking, and those are skills that have to be learned. And so, being able to be a critical thinker and a problem solver, and kind of think a few steps ahead of you is something that I feel like the human brain is capable of, but not something that comes naturally to us. In the financial world, actually having a literature degree really helped because we spent a lot of time critical thinking, and doing a lot of analyzing of work and figuring out the logic of plot points and how characters developed and I was able to take that into operations at a financial firm. The ability to learn and be open to things is much more important than IQ. It’s the ability to process things on the fly, put together bits of information, and just be able to connect the dots essentially. It’s not really a question of whether or not college is good or bad. It’s just that going to college is not actually an indication of whether or not you’re going to be successful, and I feel like that is something that a lot of people go into college and think “Okay, when I do this, when I finish, then I will get a good job and my life will be set.” And I think that is kind of the story that we’ve been told for such a long time and we’re starting to realize…that this is no longer true. College feels like a prerequisite at this point, versus something that is going to indicate whether you’re going to be making money or a living. There’s so many people with college degrees out there it’s kind of become meaningless. The jobs that pay $60k or $70k, [require a] 2 year associates degree. 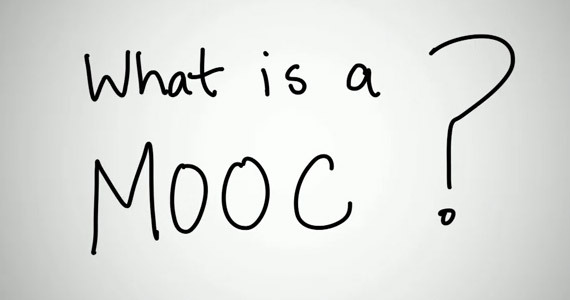 [MOOCs] are really democratizing learning. It’s making it available for anyone who has internet access. Anyone who can log on and sign up for it can take a course at Harvard. [C students] are the ones who end up being the business owners most often, and they hire A students because they know that A students can follow directions, they wanna please their boss, they know how to follow instructions, they’re high achievers. They will do amazing at whatever they decide to be amazing at. And so C students will surround themselves with these high achievers and they will be the visionary for the business. The idea that you need to have gotten good grades in school to be successful at anything, that’s over now. Maybe that was the case even 20 years ago. If you were top in your class at MBA then you were going to be successful, but it’s not a guarantee anymore.